Yes, that's an American bike he's riding. 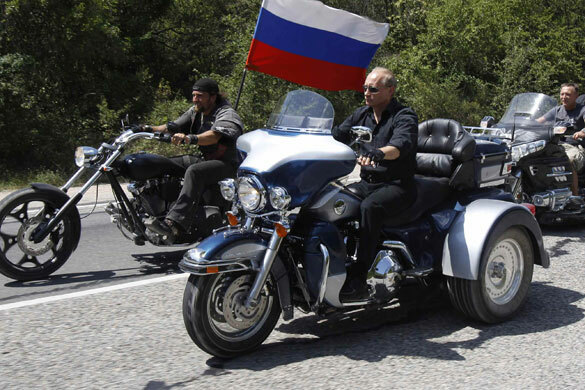 Prime Minister Vladimir Putin steering a Harley-Davidson Lehman Trike on July 24 as he arrives for a meeting with Russian and Ukrainian bikers in Ukraine's Crimea region. Photo courtsey fo the Moscow Times. 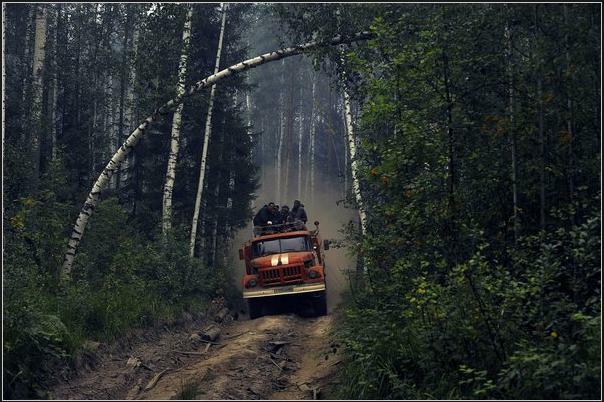 The Shatursky district has the distinction of being one of the few areas in the Moscow region where not a single home or person suffered from the fires, despite the fact that the area had more dried-out peat bogs — and was thus more fire-prone — than other districts in the region. Shatursky was spared largely because Andrei Keller, the district’s head, was one of the few administrative chiefs who took preventative measures and moved quickly and decisively when the fires broke out. Amazingly, 1,051 fires had been spotted in the district since April, yet not one of them ever spread beyond 20 hectares to 26 hectares in size. What’s more, Keller declared a state of emergency in the district as early as June 22. This is a good illustration that in the modern world, there are no natural disasters — only social ones. Moscow road workers closed the bridge on Leningradskoye Shosse without any forewarning, leaving only one of three lanes open in one direction and backing up traffic to Sheremetyevo Airport for hours. As a result, thousands of passengers missed their flights and Aeroflot suffered losses of 700,000 euros ($877,000) on the first day alone. This kind of stupidity happens only in Russia — or maybe Zimbabwe as well. Where else would the authorities effectively shut down the only road leading to an international airport? In Europe, they have to contend with volcanoes. In Moscow, we have Mayor Yury Luzhkov. Sheremetyevo Airport director Mikhail Vasilenko said the problems were an underhanded attempt by Luzhkov to drive people away from using Sheremetyevo and toward the city’s other major airport, Vnukovo, which is opening a new terminal this month and happens to be owned by City Hall. 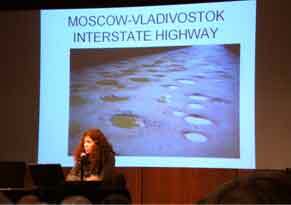 But Vasilenko’s claim is based on an implausible assumption — that an amoeba is capable of making a plan. It can’t. An amoeba can only eat. President Medvedev was visiting Silicon Valley. Our Comrade President was told of the achievements of our American colleagues and in turn invited them to take part in the modernisation of Russia. President Medvedev’s visit had two components – one of them was political. President Medvedev does not in fact have any authority. He can’t fire and replace anyone in the “power” ministries [TN: Interior, Defence, Justice etc…], can’t get into moneymaking deals, can’t push his pals into important posts. In short, he can’t do anything of what it means to be in power in Russia today. What he can do, though, is tweet on Twitter and lunch with foreign presidents so that they can believe that there are some liberal trends in the Kremlin. That is the job that he was given to do by Vladimir Putin and Medvedev puts his all into it, hoping against hope that the West will one day back him instead of Putin. What the White House really thought about Medvedev’s to California is easily deduced from its pre-visit briefing given to journalists and its press release following the visit. 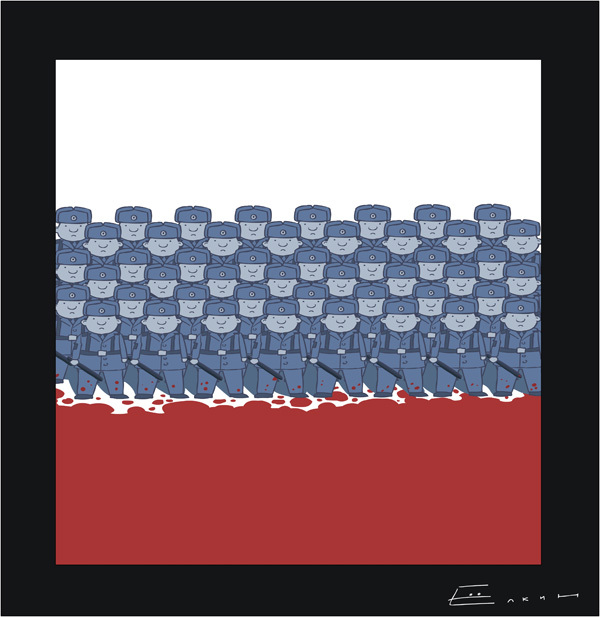 On May 8, 2000, Vladimir Putin took office as president of the Russian Federation. Since that day, Russia has acquired $1.5 trillion in oil and natural gas revenues. As a country suffering from severely neglected infrastructure and in desperate need of development and modernization, Russia has been in an ideal position to benefit from such staggering windfall profits. 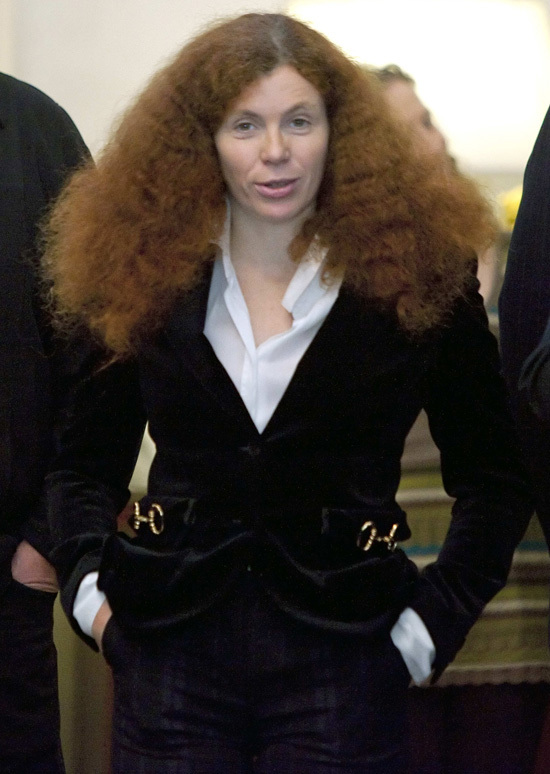 At a talk earlier this month at the Brooklyn Public Library in New York City, award-winning Russian journalist Yulia Latynina spoke about how all of this money is actually being spent, and what condition Russia now finds itself in as a result. It turns out that something was. In an authoritarian society, public opinion surveys are meaningless. The problem isn’t so much that survey data are falsified. It’s that the results themselves do not provide an accurate reflection of reality — just as a thermometer placed outside the kitchen window cannot give you the temperature indoors. As soon as word of the Sayano-Shushenskaya hydroelectric plant accident became known to residents who lived downriver from the dam, most relocated immediately to higher ground. If you were to ask those people in a poll if they have faith in Prime Minister Vladimir Putin, they would surely answer positively. They are convinced that Putin brought stability to Russia, restored the power vertical and saved our citizens in South Ossetia from Georgian genocide. It is not that respondents lie when surveys ask for their opinions. But consciously they believe one thing, and subconsciously quite another. Consciously, they love Putin, but subconsciously they know that if the dam had burst and the Yenisei River had swept them all away, Putin, if asked by the media what had happened to the victims, would not hesitate to quip, “They sank” — just as he did in 2000 when U.S. television journalist Larry King asked Putin what happened to the Kursk submarine.